Looking for something other than managed hosting? In my job, I ping-pong between multiple hosting audiences. One minute, I’m coaching first-time site owners through WordPress installations. The next, I’m hashing out the gory details of hybrid hosting or discussing when and when not to use Hadoop in your datacenter. The hosting industry is similar to the hardware at the heart of it — it’s dynamic and ever-evolving, and some folks know more about it than others. For example, some hosting users jump at the opportunity to manage their servers independently while others balk at the idea of hardware monitoring and network updates. If you fall into the latter group, managed web hosting services may be right up your alley. 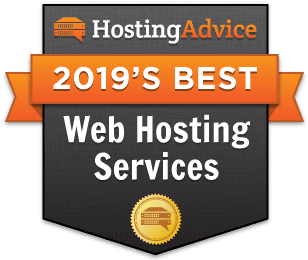 Let’s delve a little deeper into what’s required of a managed hosting provider and why we selected our recommended services in the reviews above. If you stumble upon a host touting managed shared server hosting, you’ll want to pause and call them on their bluff. Shared hosting is inherently fully managed. Think about it: You’re not dealing with your physical server. Heck, a number of shared hosting customers probably don’t even realize there’s a machine called a server keeping their website online. Basically, don’t get suckered into paying more for a managed shared hosting plan. They should be handling the hardware, keeping things online, and monitoring for security vulnerabilities regardless. Scalability is often a primary motivation for choosing a VPS. So, it makes sense a managed VPS host would do their damnedest to foster that scaling potential to the max. With hosts like InMotion, high availability comes standard. InMotion brings state-of-the-art SSD-powered virtual servers, real-time redundancy, and some of the best support money can buy. Funnily enough, managed hosting used to be nearly synonymous with dedicated hosting. Companies with sufficient capital would invest in a web host to manage the IT end of their business needs. Today, you can rent a dedicated server that you managed yourself, with the support of your host, or by the hosting provider completely. Liquid Web offers self-, semi-, and fully managed dedicated server plans with an industry-leading 100% uptime guarantee for the network. The hardware is enterprise-class Intel machinery fueled by SSDs for added speed. It’s all reinforced by upward of 50 developers actively maintaining and monitoring their solutions, and, of course, their Heroic Support® team. Cloud servers are part of this nebulous (pardon my pun) realm of hosting. You’re not actually renting a physical server, but rather a virtual machine in a network of connected servers. With each machine online and none of your precious data stored on a failure-susceptible hard drive, cloud servers offer the height of high availability. This presents a lot of pressure for managed cloud hosts to keep your system online — and InMotion is up to the challenge. So far, in our discussion of managed hosting, you may have picked up on two themes: 1) It can be expensive, and 2) There’s mostly talk of the host managing the hardware, not the software. While these facets are common among managed hosting plans, they’re not the be-all and end-all of offerings. Among the most affordable of managed server hosting is HostGator. They’re not going to handle absolutely everything you might get from a higher-end fully managed server host, but you can bet custom server configurations managed by an experienced team will come standard. Plus, you’ll be hard-pressed to find a quality provider of self-managed dedicated servers for a price in the $75 ball park. HostGator is quality reliability meets affordability. Having your IT needs taken care of is fantastic, but what if you’re not a WordPress savant and you require a robust WordPress platform to power your fast-growing business? The WordPress software can be as robust and tedious to manage as some server systems at times. Miss an update or pair the wrong plugins and you can find yourself in a pickle. InMotion Hosting brings performance and peace of mind with their managed WordPress plans, which include premium caching features, free automatic backups, and pre-installed WordPress software when you sign up. Whether you’re building your first or your 15th WordPress-powered site, InMotion is the host to optimize it for success. A sometimes underplayed element to managed hosting plans is the choice of operating system. One can easily get caught up discussing the hardware and infrastructural matters and forget to consider the software that determines how much control you possess over your server hosting. So, are you for Linux or Windows hosting? Linux lovers, look no further than InMotion managed hosting — period. Their plans tout enterprise-grade CentOS servers, and the InMotion Hosting team will handle OS updates, bug fixes, and security patches for you. Plus, you have the option of getting your hands dirty with SSH, root, and cPanel access, giving you ultimate control over your hosting environment with their expert help. With Liquid Web, you get Windows or Linux servers — your choice. Their three state-of-the-art datacenters yield the power and performance your web application or website demands from your Windows server, and it’s backed by an ultra-reliable 100% network uptime. Okay, that’s enough talk of infrastructure monitoring and network security. It’s easy to get caught up in the marketing mumbo jumbo, but rest easy knowing you’re in good hands with any of the hosts we’ve discussed here. You can relax and focus on your business or your content — they’ve got the hardware stuff handled. Meanwhile, who knows what I’m off to talk about next. Maybe WYSIWYG templates? Maybe the latest blockchain technology and its impact on IoT? Maybe the best ways to drive traffic to those cat videos you’ve been posting religiously. You never know with me.